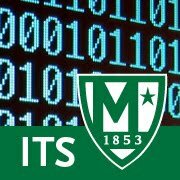 First, a message will inform the user that a timeout has occurred. 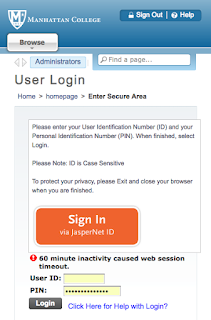 An orange button for SingleSignOn will be available to reconnect to Self-Service as well as a login box for legacy CWID/PIN access. 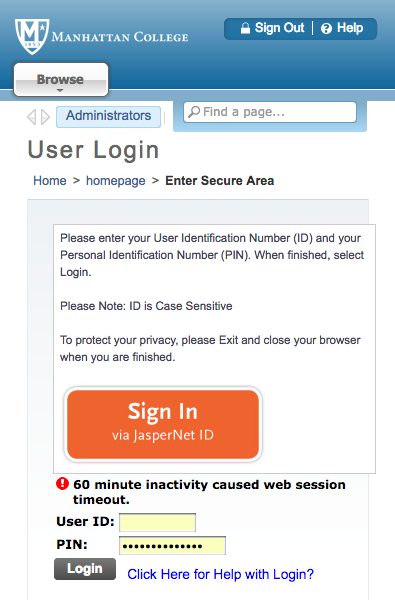 The preferred method of access is via the orange SSO button to "Sign In" using your JasperNet ID.